The legendary Speed Twin is back, returning as the newest member of Triumph‘s 1200cc Bonneville lineup. 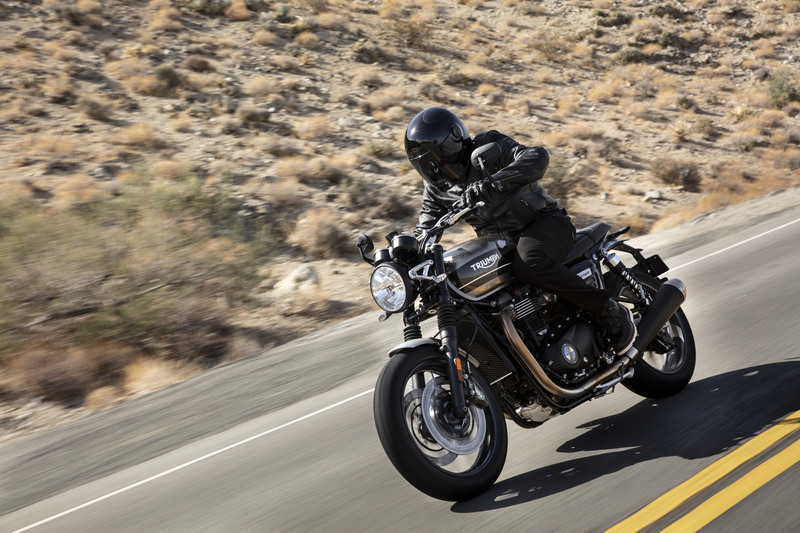 The new 2019 Triumph Speed Twin slots into the line by combining the Thruxton‘s performance with the Bonneville T120‘s more comfortable riding position. The original Speed Twin was introduced in 1938, helping establish the long tradition of British parallel-Twins, setting benchmarks with its lightweight chassis and an engine that out-powered the Singles of the era. The 2019 Triumph Speed Twin seeks to recapture the original’s glory as a modern, high-performance roadster. 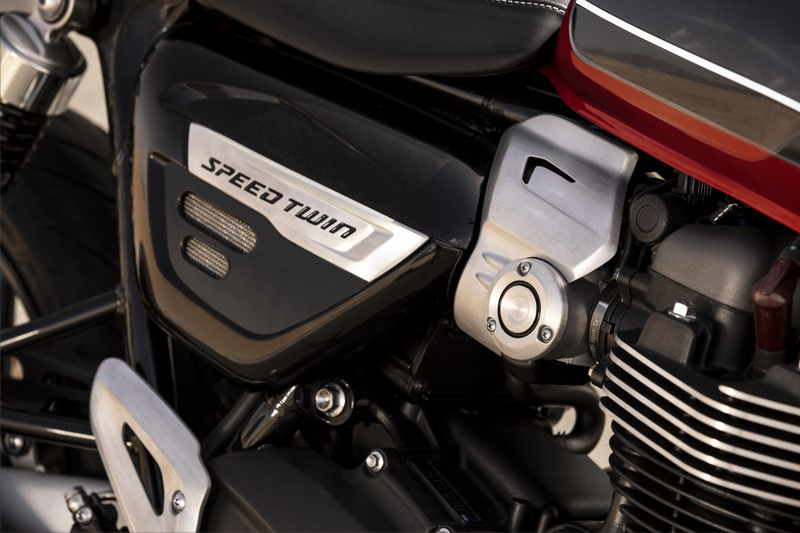 The new Triumph Speed Twin is powered by the high-power version of the 1200cc 8-valve parallel-Twin Bonneville engine with similar tuning as the Thruxton R. For the Speed Twin, Triumph added a new magnesium cam cover, new mass-optimized engine covers and revised the clutch assembly. 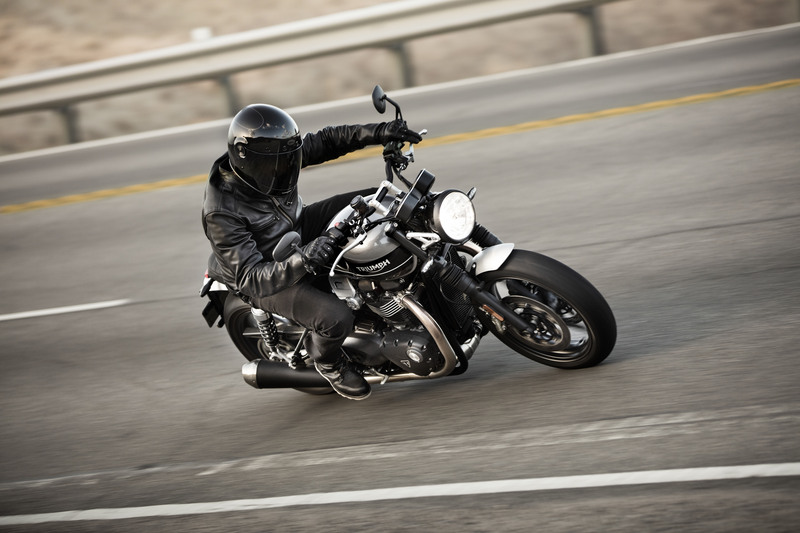 The result is a claimed 5.5-pound weight savings compared to the Thruxton engine. Triumph claims a peak output of 96 hp at 6750 rpm and 83 lb-ft of torque at 4950 rpm. The ride-by-wire throttle offers three modes: Sport, Road and Rain. Each offers a dedicated throttle map and traction control settings. The Triumph Speed Twin’s exhaust ends in twin upswept silencers with a satin black painted finish and stainless steel end caps. 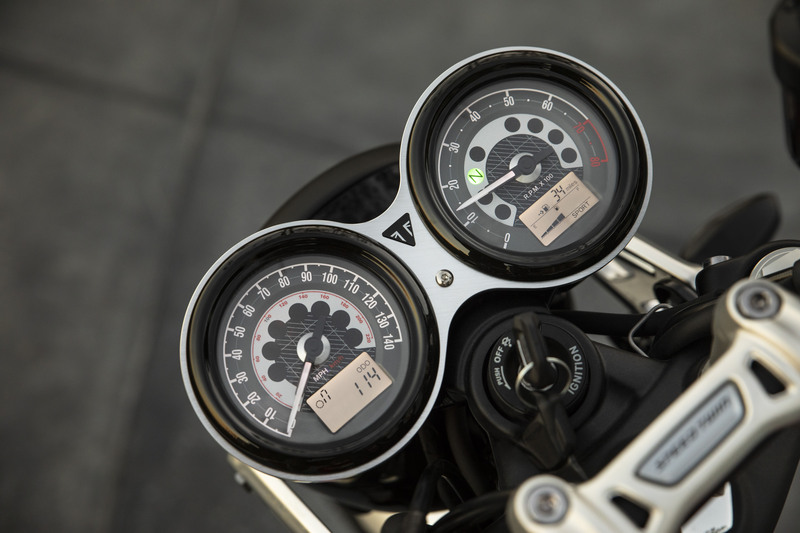 The Speed Twin also inherits the Thruxton R’s frame, but the tapered handlebars and new upper yoke and risers produce a more upright riding position. 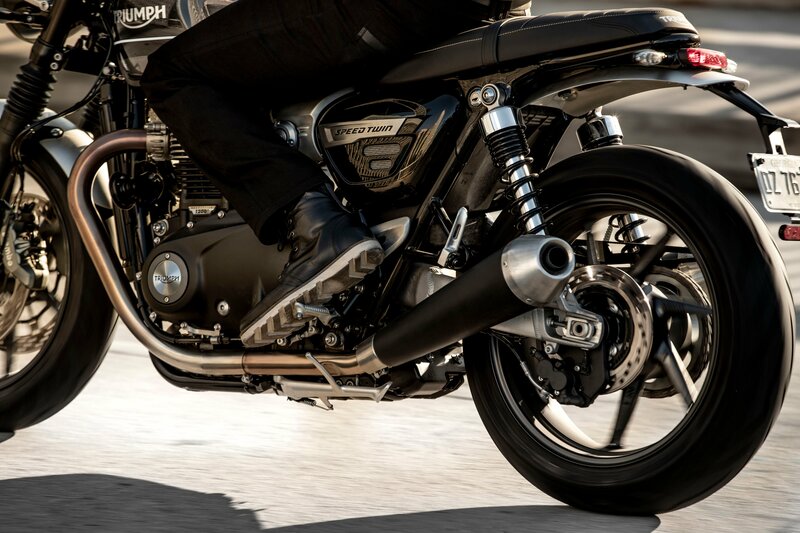 The footpegs are also further forward than the more cafe-flavored Thruxton. The bench seat is more in line with the Bonneville, with a 31.8-inch reach to the ground. The suspension is also similar to the Thruxton’s, with a 41mm cartridge forks and twin rear shocks, adjustable for spring preload, both offering 4.7 inches of travel. Brembo provides the four-piston calipers mated with twin 305mm front discs. Oddly, Triumph opted to go with Nissin for the two-piston caliper gripping the 220mm rear rotor. ABS comes as standard equipment. The 17-inch cast aluminum wheels (the first 1200cc Bonneville not to use wire spokes) come clad in Pirelli Rosso Corsa 3 tires. The two circular instrument dials add to the retro look while incorporating small digital screens showing ride mode setting, gear position, fuel level and range and service indicator. The screens also show information for the optional tire pressure monitoring system and heated grips when fitted. Other features include a sculpted 3.8-gallon fuel tank, USB charging socket, bar-end mirrors, brushed aluminum front and rear fenders and new sculpted side panels with the Speed Twin badging. The 2019 Triumph Speed Twin will be offered in three color options: Jet Black, Silver ice and Storm Grey or Korosi Red and Storm Grey. Expect to see the Speed Twin in North American dealerships in February, with pricing to be announced in January.